A pilot who battered his estranged wife to death with a claw hammer and buried her body has had his appeal against his sentence turned down. British Airways captain Robert Brown admitted the manslaughter of wealthy Berkshire guesthouse owner Joanna Brown, 46, and was jailed for 26 years. Brown, 47, buried the body in a pre-dug grave on the Queen's Windsor Estate in October 2010. He was cleared of murder. Three judges at the Court of Appeal dismissed his appeal. They heard argument from Brown's lawyer that his sentence was "too high", but also from the prosecution that it was "plainly" not "manifestly excessive". The court will give its reasons for rejecting the appeal in writing at a date to be fixed. The murder trial at Reading Crown Court heard he considered crashing a British Airways plane in the aftermath of the killing at their marital home in Ascot. Brown, who admitted manslaughter by reason of diminished responsibility, was convicted of obstructing a coroner from holding an inquest. During the eight-day trial in May the court heard Brown had been consumed by anger during the marriage and felt "stitched up" by a prenuptial agreement. When his wife, originally from the Isle of Man, filed for divorce, it set in motion three years of protracted legal wrangling which was still continuing at the time he killed her. He travelled to her home, Tun Cottage, to drop off their two children on 31 October last year armed with the claw hammer. 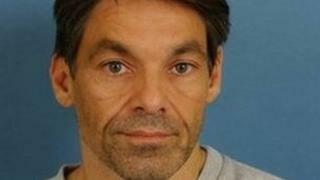 After an argument broke out over schools, he hit his wife around the head with the hammer at least 14 times. He then bundled her body into the boot of his car and later dumped it in a makeshift coffin in the prepared hole he had dug near Windsor Great Park. Brown, of North Street, Winkfield, was arrested the following day after he contacted police. After confessing to the killing he led officers directly to the secluded burial site.